I guess I should start by asking if you even knew that @rt-international has made it to the Steem blockchain? Yeah, I’m talking about the international television and media empire that you can probably find by scrolling through your television cable package, RT. I almost didn’t believe it was true when @ericwilson first told me they were on Steem the other day. This was a momentous occasion in my opinion. Part of the original Steem whitepaper that stuck out to me was the idea that Steem Power’s value would be it’s holders ability to influence media. The often quoted example I believe off the top of my head was the Wall Street Journal. Regardless we are now entering in a period where an international publication is paying attention to our community. I immediately went to their page and followed. I then jumped over to @steemauto and add them as a Fanbase subscription. This is an opportunity to reward one of the biggest players in media for catering their content directly to our community and I couldn’t be happier to provide a portion of my .10 vote. If you aren’t familiar with Steem then this will seem crazy but I will actually be earning off supporting RT’s content on the Steem platform. That’s because each time they post, or anyone for that matter, 25% of each post’s payout value goes to the curators. By helping them I’m growing my own stake! Another part that you may not know about Steem is that it has a fancy way of combating spam. It uses the idea of Resource Credits to determine how many times a new user can interact with the blockchain. These credits are allotted in direct proportion to each user’s stake, or Steem Power, that they control. This ensures that accounts must “power up” Steem to repetitively post. While this may seem counter intuitive to a social network that would thrive most on social interactions between users it’s actually quite brilliant. This helps solve the problem of unknown user accounts repetitively spamming the Steem blockchain. It means that for someone to spam content onto the blockchain they must purchase enough Steem that they can convert into Steem Power for Resource Credits. If I haven’t lost you yet with my blockchain ramblings I’ll explain simply why I delegated some of my Steem Power holdings to RT. I WANT STEEM TO SUCCEED! 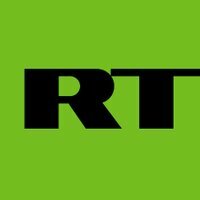 As I mentioned before RT is one of, if not the biggest, media companies to come to the Steem blockchain. This is important since one of the blockchain’s core ideas was tokenizing media influence. The team behind @rt-international having a good experience is then of utmost importance to me. Part of explaining how Steem works was to introduce you to the concept of Resource Credits or RC. These power each person’s ability to access the Steem blockchain. In fact, it takes about 1M RC to make a single post. This means that it would take a decent bit of Steem to power their multiple news postings throughout the day. I checked @rt-international’s wallet this morning and realized this was literally a brand new account. They didn’t even have 20 SP yet. I was immediately concerned that they wouldn’t have enough SP so I checked their Steemd and sure enough they were without any SP to power any new posts. I have no way of telling if anyone tried to publish since their account’s RC depleted. I certainly hope not because I’d hate for this first major opportunity to be soured so easily. That’s why I have immediately delegated 50 SP to @rt-international’s Steem account. This should give them enough power to release more than enough posts each day until their first week of payouts come and they have enough self created SP to manage. I thought it would be cool if this turned into a bit of a community effort. My hope would be that through a join support of @rt-international’s content that they will find the real value in distributing content through Steem. This will only mean good things for us all moving forward. You can help by engaging and upvoting content they publish that you find interesting or even adding more to their SP by delegating like I did. The more they are welcome the more likely they will be around is what I’d imagine. It’ll also force their competitors to look at the value they are getting from distributing here. Before long you may be able to read your favorite publication just by logging into Steem!